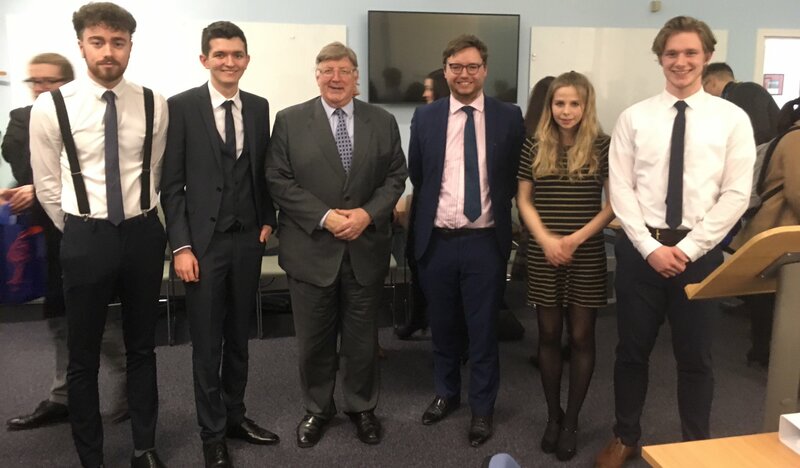 Via UofG Moot: It was an all-Glasgow University final at the Lord Jones Moot Competition 2019 at Dundee University on Saturday – congratulations are due to Dylan and Ryan on their victory, and well done to Jasmine and Alistair for running them close! 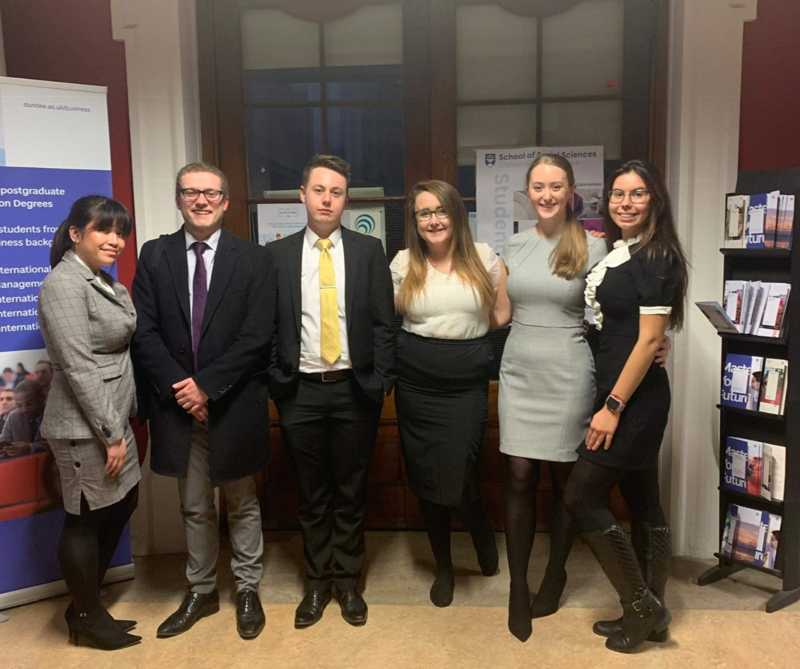 Kate Scarborough, of the Dundee Mooting Society, said: “This event would not have been possible without the support of DWF, who kindly sponsored us, as well as all the judges, supporters, and the rest of the mooting committee. “Particular thanks go to Herbert Kerrigan QC for judging three rounds in the morning as well as being our final judge. Thanks also to Fiona Jones and her son Richard for their continued support of the event.